Technology is shaping the lives of Europeans all across the continent. It has become a central topic discussed from low to high-level institutions. However, it remains an area where minorities are still underrepresented. Does it mean there are no tech experts amongst ethnic minorities? Can’t they be found or don’t they have the required skills to share expertise on tech-related topics? At a time where every community is willing to defend its interests, how can we address topics related to black tech professionals (inclusion, career growth, support to Africa development) if community experts remain invisible? How can we make black expertise valuable and visible in tech? Join us to know more about ways to make your skills visible, meet other tech professionals and learn from our trainer. Experienced digital and content marketer with international experience, Cynthia has provided digital marketing solutions to brands, organisations and personalities in Belgium, France, Ghana, Nigeria, Cameroon and DR. Congo. Cynthia strongly believes in youth potential and technology for development. 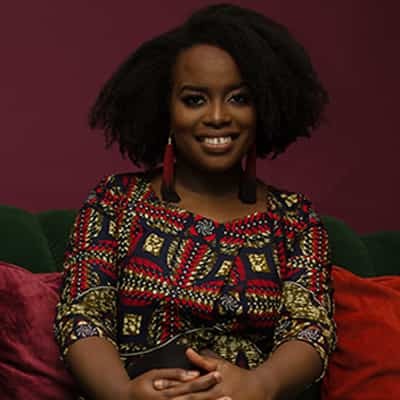 Therefore, she founded African Gist, a Belgian-based organisation bringing together African young talents and tech entrepreneurs for professional and business development through the use of digital tools.